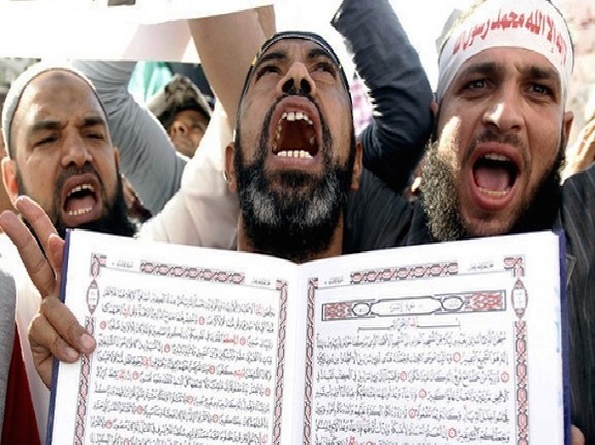 US: NYC Mufti says Muslims should hate non-Muslims, no integration for us……! – The Tundra Tabloids……. A New York Muslim cleric has said, Muslims should love and support other Muslims, but hate and not support non-Muslims. The comments were made during an online Q&A session with New York Mufti Muhammad Ibn Muneer, and were delivered in response to a question about dealing with different types of Jews. In his answer, Muneer cites the Islamic principle of Al-Bara Wal-Wala (disavowal and loyalty), which he said is, as explained by Ibn Al-Qayyim and many others as, loving Muslims and hating non-Muslims. Previous Post Previous Post Finnish Elections: Jussi Halla-aho’s methodical strategy in taking The Finns’ message to the people pays off……..
Next Post Next Post Finnish elections: SDP might slip from slim majority to polarity in seats with Finns Party as recount begins in Pori…….